ONEONTA – Alexandra Xanthaky, beloved wife, mother and grandmother passed away Wednesday evening, March 20, 2019, at her home in the Town of Milford, surrounded by family. She was 75. Born August 25, 1943, in Glasgow, Scotland, Sandra was a daughter of Alexander and Margaret H. (Morison) Findlay. Following World War II, the Findlay family emigrated to the United States and first settled in Jersey City, New Jersey, and then later moved to Levittown on Long Island. Sandra was a Registered Nurse, and for thirty years was part owner and office manager for Upper Main Street Associates, her husband’s medical practice in Oneonta. She is survived by her husband of 52 years, Gregory J. Xanthaky, MD, of Oneonta; two sons, George S. Xanthaky and his wife, Bok-dal of Odessa, Florida, and Peter A. Xanthaky of Canton; three daughters, Diana Xanthaky DeRosa and her husband, Frank of Lloyd Harbor, Ariadne (“Dee”) Xanthaky Nikiforou and her husband, Chris of Atlanta, Georgia, and Retired Petty Officer Christina Xanthaky, USN of Milford; five grandchildren, Frank, Gabriella, Nicholas and Sophia DeRosa and Gregory Xanthaky; one brother, Alistair Findlay and his wife, Lynn of Plymouth, Massachusetts and their son, Alec Findlay; and one sister, Carol Findlay of Bradenton Beach, Florida and her daughter, Cecelia Peers. She is also survived by her beloved dog, Daisy Mae. She was preceded in death by her mother, Margaret H. Findlay, who died in 2007, her father, Alexander Findlay, who died in 1986, and her mother-in-law Helen Xanthaky who died in 2007. Services will be private at the convenience of the Xanthaky family. In lieu of flowers kindly consider donations in her memory to A.O. Fox Hospital, 1 Norton Avenue, Oneonta, NY 13820, and Guiding Eyes For The Blind, PO Box 709, Yorktown Heights, NY 10598, www.guiding eyes.org. MT. 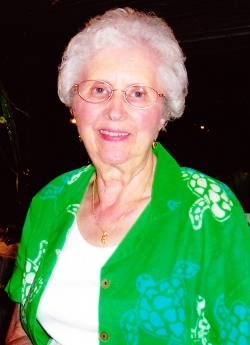 VISION – Diana Isabel Marlette, a kind and caring person, passed away peacefully March 19, 2019, (just 12 days before her 95th birthday) at her home in Mt. Vision. She was born in New Lisbon, a daughter of John K. Harrington and Agatha Telfer Harrington. She grew up on a farm where her grandparents were all within a 2-mile radius. She was active in the 4-H Club which she continued as a leader of in her adult life. After graduating from Hartwick High School in 1941 Diana went on to study Home Economics at Morrisville Agricultural and Technical College, graduating in 1943. With World War II underway, she and many of her classmates wanted to help with the war effort, so she went to Schenectady to do her part as a “Rosie the Riveter” and worked as a welder at General Electric. She married Howard S. Marlette October 7, 1945, at the Christian Church in Hartwick. They had a dairy farm in South Hartwick where they brought up their three daughters. Diana was very involved in community activities like 4-H, Home Bureau, the Rebekahs and the Mt. Vision United Methodist Church. She continually helped out family and friends. One of her favorite activities has always been chatting with people. She and Howard had several opportunities to travel, which brought them a lot of good memories. When Diana was 87 years old, she welcomed her first great grandchild. Within 18 months she had five great grandchildren. Two more have been added and they have all given her much joy. She was predeceased by her husband, Howard; two sisters and their husbands, Thelma and Kenneth Lally and Hilda and Joseph Tamas; and a brother-in-law, Kendall Marlette. She leaves many friends; three daughters and their husbands, Cheryl and Arne Christensen of LaGrangeville, Mary and James Crouthamel of Mt. Vision and Jeanne and Richard Stalker of Clinton Corners; six grandchildren and their spouses, Eric and Allison Christensen of Center Moriches, Mark and Sandi Christensen of Pleasant Valley, Kerri and Damian Ercole of Chester, New Jersey, Kelly Crouthamel and Jeff Hennie of North Arlington, New Jersey, John and Linda Stalker of Millbrook, and Michael and Kristin Stalker of Albany; seven great grandchildren, Sophie Stalker, Jaxson and Riley Ercole, Thomas Stalker, Cole and Knox Christensen and Cameron Hennie; a sister-in-law, Bernice Marlette; and many nephews, nieces and cousins. Friends may call and pay their respects at the Connell, Dow & Deysenroth Funeral Home, 82 Chestnut Street, Cooperstown, from 5-8 p.m. Friday, March 22, 2019, when Diana’s family will be in attendance. A funeral service will be offered at 11 a.m. Saturday, March, 23, 2019, at the Mount Vision United Methodist Church, with the Rev. Richard D. Howard, pastor officiating. Burial will be later this Spring in the Mt. Vision Cemetery. In lieu of flowers, memorial donations may be made to the Salvation Army of Oneonta, 25 River Street, Oneonta, NY 13820, or the Association for Vision Rehabilitation and Employment (AVRE), 174 Court Street, Binghamton, NY 13901, or the Hartwick Emergency Squad, PO Box 208, Hartwick, NY 13348, or the Mt. Vision United Methodist Church, PO Box 576, Mt. Vision, NY 13810. Gary Culbertson was born in Batavia, NY, on October 11, 1941, to Ethel Waterman Cain. He graduated from Alfred State College. He then started his life-long career of classifying and breeding Registered Holsteins and managing and owning dairy farms. His passion was farming and the Holstein cow. Gary passed peacefully with family members by his side. Gary was a very compassionate man always trying to do the best for anyone around, and always seeing the best in people. He lived his life honestly, always seeing the sunny side of life. His witty sense of humor was appreciated and loved by all. He will be terribly missed by his family and the people whose lives he touched. Gary is survived by his loving wife, Sue; his three children, Dawn, Lisa and Chuck; his brother, Gordy; and many grandchildren, great grandchildren, nieces and nephews. Per Gary’s request, there will be no funeral. A family graveside service will be held at a later date. In lieu of flowers, please make a donation to Cedarville Rescue, 960 State Highway 51, Ilion, NY 13357. The Connell, Dow & Deysenroth Funeral Home in Cooperstown, NY, is serving the Culbertson family. Condolences may be made through www.cooperstownfuneralhome.com. HARTWICK – Elizabeth Anne Broten, beloved daughter, sister, granddaughter and niece, succumbed to her drug addiction that she struggled with for many years Wednesday morning, March 6, 2019, at her home in Hartwick. A bright, funny and intelligent woman, she was 30. Born September 16, 1988, at the Mary Imogene Bassett Hospital in Cooperstown, Liz was a daughter of James Michael Broten and Kathy Marie Mesko Broten. After graduating from Cooperstown Central School with the Class of 2006, Liz attended Elizabethtown College in Pennsylvania where she studied History and English. In 2010 she received a bachelor’s degree in English, and then in 2017 she earned a paralegal degree from Herkimer College. Quick witted, Liz had an infectious laugh, and was known as the life of the party who could make anyone laugh. She was also extremely intelligent and could be caught reading in her spare time; she especially loved history. Just recently she had secured job in Florida as a licensed insurance broker. She will be forever missed by all who knew and loved her. Liz is survived by her mother, Kathy M. Broten and her long-time partner, Bruce M. Daly of Hartwick; her father, James M. Broten of Live Oak, Florida; a sister, Jacqueline Broten of Lakeland, Florida; her paternal grandfather, Robert Broten of Live Oak, Florida; and several aunts and uncles, including Bernetta and Grant Whaley of Smyrna, Patricia and George Ofslager of Geneseo, Illinois, and Michael Broten of Live Oak, Florida. She was preceded in death by her paternal grandmother, Helen Broten; her maternal grandparents Gladys and Michael Mesko; and two uncles, Robert and Michael Mesko. Family and friends may call and pay their respects from 2-4 p.m. on Sunday, March 10, 2019, at the Connell, Dow & Deysenroth Funeral Home, 82 Chestnut Street, Cooperstown. The visitation will conclude with a funeral service at 4 p.m. at the funeral home, with Pastor Phillip Sell of the First Baptist Church of Hartwick officiating. Immediately following the service, all are welcome to attend a reception at Templeton Hall, 63 Pioneer Street, Cooperstown, NY 13326. 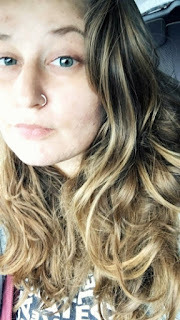 In honor of Elizabeth’s love for books, her family respectfully requests that, in lieu of flowers, memorial donations be made to the Kinney Memorial Library, PO Box 176, Hartwick, NY 13348. Memorial donations may also be made to the Susquehanna SPCA, 4841 State Highway 28, Cooperstown, NY 13326. COOPERSTOWN – Virginia M. Gracey, long-time sales clerk at Church & Scott in Cooperstown, passed peacefully Saturday afternoon, March 2, 2019, at Bassett Medical Center in Cooperstown. A native and life-long resident of Cooperstown, she was 86. Born Virginia Mae Potter on October 16, 1932, in Cooperstown, she was one of five children of William Leigh Potter and Florence Elizabeth Smith Potter. After graduating from Cooperstown High School with the Class of 1950, she worked at Remington Rand in Ilion. On August 10, 1957, she married J. Andrew Gracey at the First Baptist Church of Cooperstown, and for many years Ginny and Andy made their home in Toddsville. When their children got older, Ginny went back to work, and through the years was employed at the Village Library of Cooperstown, the deli department at the Great American, the gift shop at the National Baseball Hall of Fame and Museum and Rudy’s Liquor Store. She also cleaned houses and ironed clothes for families in the Village. She will best be remembered for working as a sales clerk at Church & Scott in Cooperstown. Known especially for taking care of the jelly beans and greeting cards, Ginny was a faithful employee for 29 years until she retired at the age of 82. Raised in the Baptist faith, Ginny and her family were members of the First Baptist Church of Cooperstown. After she and Andy were married and the kids were grown, they began attending the Fly Creek United Methodist Church and became faithful and well-loved members. Ginny will be fondly remembered for writing many puppet plays for Sunday worship services that were appreciated by young and old alike. She truly enjoyed the fellowship she shared with the members of her church family. Ginny is survived by her three children, Richard Gracey and wife, Gerrie and Kenneth Gracey and wife, Lisa, all of Oneonta, and Patricia Gracey of Fort Plain; six grandchildren, Ryan Gracey, Abigail Gracey, Lillian Gracey, Brandy Mills and husband, Wes, Maura Fink and husband, Kenneth and Jack Gracey and wife, Lynnette; three great grandchildren, Gage Douglas Fink, Nathaniel Richard Mills and Matthew John Gracey; one sister, Connie Potter of Menands; a sister-in-law, Becky Potter of Ilion; and many nieces and nephews. She is further survived by her beloved cat, Amos. She was predeceased by her husband of 45 years, Andy who died January 7, 2003; their son, Douglas William Gracey who died November 19, 2005; a great grandson, Samuel Edward Mills who died June 27, 2016; and three brothers, Earl D. Potter who died July 25, 1958, Harold W. Potter who died April 1, 2001, and Ralph E. Potter who died January 30, 1992. Calling hours for Ginny will be held from 4-7 p.m. on Thursday, March 7, 2019, at the Fly Creek United Methodist Church, 852 County Highway 26, Fly Creek. A Funeral Service will be offered at 5 p.m. on Friday, March 8, 2019, at the Fly Creek United Methodist Church with the Rev. Sharon Rankins-Burd, pastor officiating. Immediately following the service there will be a reception downstairs at the church where everyone may enjoy some of Ginny’s favorite foods. In lieu of flowers, memorial donations may be made to the Fly Creek United Methodist Church, PO Box 128, Fly Creek, NY 13337. 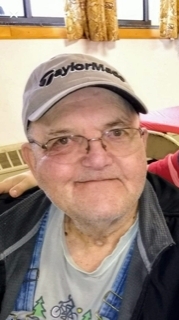 MOUNT VISION – David Miller, 72, passed away unexpectedly at his home in Mount Vision Thursday morning, February 28, 2019. He was born October 4, 1946, in Albany, a son of Alfred Durwood Miller and Pearl M. Wasson Miller. Raised and educated in Oneonta, Dave attended college and then entered the military. He proudly served in the United States Army from March 8, 1966, until he received his Honorable Discharge on February 23, 1968. That same year, he met Donna Marie Marlette, and on October 25, 1969, they were married in a ceremony at her parent’s home in Mount Vision. For the past 33 years Dave and Donna have made their home in Mount Vision, and shared almost 50 years of marriage together. Through the years, Dave was employed at Volkswagen, Bresee’s and Samson Floors in Oneonta. He retired from New York Central Mutual in Edmeston where he was employed as an insurance investigator. Dave most enjoyed spending time with his family-it was always all about them. He and his wife also spent many years coaching Special Olympics. He will be greatly missed by his entire family and circle of friends. Dave is survived by his wife of 49 years, Donna M. Miller of Mount Vision; their five sons, Gregory Miller and wife, Becky of Van Etten, Todd Miller and wife, Dayle of Bainbridge, Joshua Miller and wife, Nicole of Virginia, James Miller and wife, Cara of Richfield Springs, and Bernarr Miller of Oneonta; seven grandchildren; two sisters, Vicki and Cari; a brother, Nathaniel; and many nieces and nephews. He is further survived by his mother-in-law, Bernice Marlette of Oneonta, and his wife’s siblings, Jennie May Folts of Scottsdale, AZ, Marilynn M. Folts of Toddsville, Gloria Beers and husband Bradley of Mount Vision, Gerald Marlette and wife Lora of Mount Vision and Jerry Marlette and wife Christie of Unadilla, and their families. A graveside service with Military Honors will be held later this Spring in Mount Vision Cemetery. Donations in memory of Dave may be made to Special Olympics New York, 504 Balltown Road, Schenectady, NY 12304. 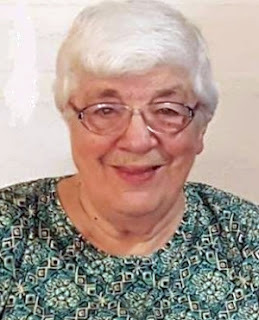 CONCORD, NH – Barbara Atwell Roberts, formerly of Richfield Springs and a retired operating room nurse at the Mary Imogene Bassett Hospital in Cooperstown, died February 21, 2019, of heart failure at Concord Hospital in Concord, NH. A resident of Havenwood Heritage Heights in Concord for the past nine years, she was 87. Barb made friends everywhere she went and made it a point to keep in touch with all of them. She loved to travel, collected postage stamps and maps, rooted for the Red Sox and Patriots, and sent greeting cards for every occasion. Born May 9, 1931, in Syracuse, Barbara Joan Atwell was the younger daughter of Harold Leon Atwell and Grace Jones Atwell. Raised in Syracuse, Barbara graduated from Nottingham High School in 1948. 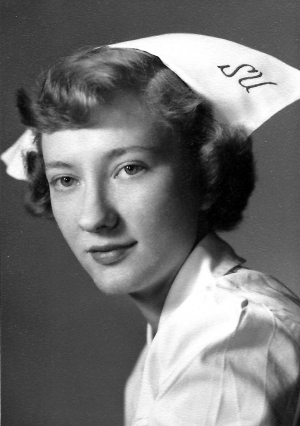 She was one of two in her class to receive a scholarship to attend Syracuse University School of Nursing where she earned a Bachelor of Science degree in December 1952. From January 1953 until her marriage to Robert Kemp. Jr., on March 30, 1957, Barb worked as a registered nurse at New York Hospital-Cornell Medical Center in New York City. In 1961 they moved to Miami, FL. While raising their two children, she also was a nurse at Jackson Memorial Hospital, Miami Baptist Hospital and Coral Gables Hospital. In July of 1973 their marriage ended and she moved to the Cooperstown area. For the next 20 years she was employed at Bassett Hospital. Barb was grateful to have meaningful work, helping people. A very detail-oriented person, she enjoyed selecting instruments according to each surgeon’s preferences. Her hands were typically dry and cracking from surgical scrubbing, and she became a steady user of Bag Balm. After rising before the sun for 40 years, she retired from nursing in November 1993. She married John L. Willsey, a native of the Town of Springfield, on November 1, 1975. With the help of his son, John C. Willsey, they built a log cabin on Willsey Road in Richfield Springs. During 21 years together, they enjoyed driving John’s teams of horses, gathering with the extended Willsey family and friends, and traveling. John was a World War II veteran and former POW, and they attended annual reunions of the U.S. Army 12th Armored Division. John died October 26, 1996. Barb met her third life partner, Edward H. Roberts, at a 12th Armored reunion. Although he and John had served in the same division, they had not known each other. On January 8, 2000, Barb and Ed married at the First Presbyterian Church in Cooperstown, and began 16 full and happy years together. They resided on Mountain View Lake in Sunapee, NH, and in 2009 moved to the Havenwood retirement community in Concord. Ed died July 5, 2016. While in the Cooperstown area, Barb was an active member of the First Presbyterian Church in Cooperstown, where she served as an Elder and enjoyed worshiping and singing in the choir. She was a member of the Glimmerglass Opera Guild and served as an usher during performances for many years. She also volunteered at Bassett Hospital and with the Home Extension Group. In Sunapee, NH, Ed’s extended family lovingly welcomed Barbara into the fold. Barb and Ed led an active life involving volunteering with the Red Cross and Sunapee Seniors, the Church of the Epiphany in Newport, snowmobile club, boating and fishing, travel, and summer visits to the lakeside from family and friends. After they moved to Havenwood, Barb enjoyed singing in the Tapestry and HHH groups and took newcomers to assisted living under her wing. Barbara is survived by her daughter and son-in-law, Karen Barbara Kemp and Jeffrey W. Zimmer of Durham, NC; two grandchildren, Helen Caitlin Zimmer of Philadelphia, PA, and Ian Karl Zimmer of Charlotte, NC; niece Linda (Fred) Heberling of Holland, OH, whom she considered a second daughter, and nephew Clifford (Marilyn) Weigel of Stryker, OH; two grandnephews in Ohio; step children Elizabeth (Gregory) Stevens of Chester, NH, Ying Xia of Concord, NH, and Jean (Greg) Zeller and John C. Willsey of Richfield Springs and their children; step grandchildren Kari Ure and Ty Cook, step nieces and nephews including Elaine and Michael Gibbons of Quincy, MA; many cousins including the extended family of Marion Karl and the late William Karl of Cooperstown; and step great grandchildren and step great great grandchildren. In addition to her husbands, Barb was predeceased by her son, Carl Robert Kemp, who died February 9, 1969, after being struck by a car, and her sister, Jean A. Weigel, who died in 2008. A Memorial Service will take place at 2 p.m. March 29, 2019 at Havenwood Heritage Heights in Concord. Details on a service in Celebration of the Life of Barbara A. Roberts at the First Presbyterian Church of Cooperstown will be announced at a later date. Barbara will be laid to rest in the Adirondacks alongside her son and her parents, at the Minerva Baptist Church Cemetery. Memorial donations may be made to a charity Barb supported, including The Nature Conservancy, Doctors Without Borders, American Heart Association, Smithsonian Institution, American Red Cross, and Glimmerglass Opera Festival in Cooperstown. Arrangements are under the care of the Connell, Dow & Deysenroth Funeral Home in Cooperstown.